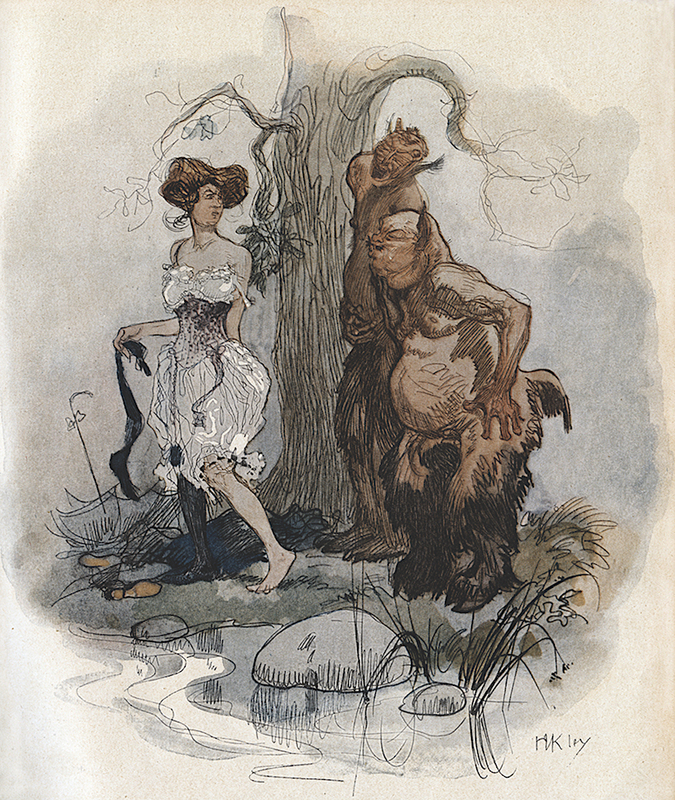 A beautiful composition featuring two satyr type characters admiring a lady, who seems displeased at being starred at. I like the muted color choices, browns against blues. I am dying to animate those kind of characters. I even have an idea for a short film...but that's way in the future, after I finish my film with the girl and her tiger.